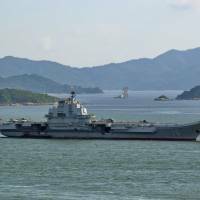 THE, DIPLOMAT - The 2012 commissioning of the Chinese Navy’s first aircraft carrier, the Liaoning, and the subsequent expansion of the country’s carrier fleet, with three new warships currently in various stages of testing or construction, has been cause for great apprehension among its potential adversaries in Asia and the West. Borrowing heavily from the highly ambitious Soviet Kuznetsov and Ulyanovsk carrier programs initiated in the late 1980s, both of which were cut short by the country’s collapse, China is on schedule to have four carriers by 2025. Not only is Chinese Navy’s fleet numerous, but its vessels are growing in both sophistication and size. 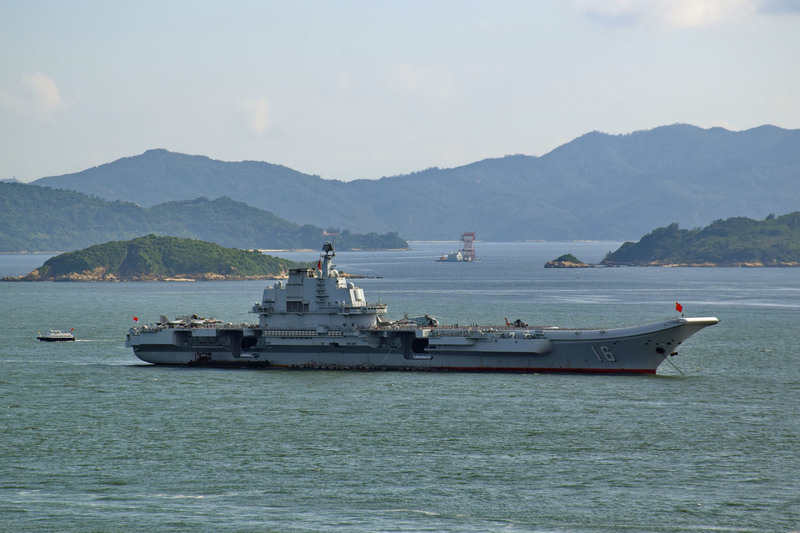 While the carrier Liaoning, a better armed and modernized sister to the Russian carrier Admiral Kuznetsov, leaves much to be desired in its sophistication, state of the art technologies developed for future carriers will make them considerably more capable. These include electromagnetic launch systems (EMALS), facilitating the deployment of heavier and better armed fighters; carrier-based early warning aircraft, the development of which was completed in 2017; and dedicated carrier-based electronic attack jets, currently in the prototype stage. These assets, all fielded by the latest U.S. supercarrier USS Gerald Ford, are set to allow the Chinese Navy’s future carriers to better contend with advanced rival warships fielded by Japan, the United States and other potential adversaries in the Pacific. Combined with the rapid growth in the country’s destroyer fleet and the commissioning of a lethal new destroyer class, the Type 055, China’s ability to project power at sea and contest dominance of the contested and strategically vital South and East China Seas appears to be growing apace. While the four-ship-strong Chinese Navy carrier fleet planned for 2025 is already a daunting prospect for the U.S. and its Asian allies, there is a considerable chance that a lower profile defense program currently underway could see this number rise to seven. Alongside the development of three carrier warships, the Type 001, Type 002 and Type 003, Chinese shipbuilders have also begun the construction of three amphibious assault ships — 40,000 ton warships approximately the same size as the French carrier Charles De Gaulle. The warships are highly similar to the U.S. Navy’s America and Wasp class amphibious assault ships, almost identical in size and appearance. The example set by the American warships could well give some indications as to the People Liberation Army’s intentions for the Type 075 class’ future. The U.S. Navy currently fields 20 aircraft carriers, 11 of which are 100,000 ton supercarriers and nine of which are amphibious assault ships — which the U.S. does not consider carriers, but which deploy fixed wing combat aircraft. While lacking the runways and arresting gear necessary to launch conventional carrier-based aircraft such as the F-18E or F-35C, specialized short take-off vertical-landing (STOVL) capable aircraft, the Harrier Jump Jet and more recently the F-35B, have been developed to deploy from the decks of these assault ships, allowing them to effectively function as aircraft carriers — and highly capable ones at that. China’s Type 075 assault ships, all of which are expected to be in service by 2025, could well also deploy specialized aircraft by that time to allow them to function as carriers, thus bringing the size of Chinese Navy’s carrier fleet up to seven. Indeed, given the limited uses of a dedicated helicopter carrier with such a large deck, it is highly likely that the Type 075 class was designed with an aircraft carrier role in mind. While the U.S. is currently the only producer of an STOVL aircraft, the F-35B, it is not the only country to have developed such technologies. The Soviet Union was in fact a pioneer of these technologies during the Cold War, and the country’s Cold War-era carrier fleet relied exclusively on vertical take-off and landing (VTOL) aircraft incorporating similar design concepts to STOVL. As part of the Soviet Union’s ambitious carrier expansion plans of the late 1980s, the country had developed a highly sophisticated VTOL aircraft, the Yak-141, which would have been able to deploy from assault ships similar to the Wasp Class and Type 075. The program was ultimately canceled following the Soviet Union’s disintegration, but had reached a late development stage with four working prototypes. Much as China did with a number of canceled Soviet weapons programs in the 1990s, the country could well purchase the Yak-141’s technologies from Russia to very quickly develop its own VTOL or STOVL fighter. Combined with the state of the art military aviation technologies the PLA has recently developed, from stealth systems and AESA radars to some of the world’s foremost jet engines and air-to-air missiles, a Chinese derivative of the Yak-141 deployed from its three assault ships, which can carry up to 30 aircraft each, will be a formidable asset to the Chinese Navy in the South and East China Seas. With reports indicating that Russia is considering restarting the Yak-141 program, in light of its plans to construct four amphibious assault ships of its own, the Chinese Navy could embark on a joint program to develop these aircraft or else purchase the fighters from Russia. The input of advanced Chinese technologies however would likely make for a more capable aircraft, and would be preferable for the Chinese Navy. With the U.S. Navy today increasingly stretched between several major fronts, and set to potentially escalate its involvement in the Middle East in light of growing tensions with Iran, matching a Chinese fleet of seven carrier warships, which could materialize in just seven years, will be a highly strenuous task. The Chinese Navy will continue to retain a critical advantage in that it can focus its assets to the Asia-Pacific region, whereas the U.S.’ own carrier fleet, though many times larger, faces global commitments that restrict its ability to meet fast growing challenges to its primacy at sea in Asia. With China’s defense budget growing by over 7 percent per year, almost in line with the country’s economic growth, the Chinese Navy has room to induct more carriers, both assault ships and conventional larger vessels, after 2025. The U.S. Navy’s own carrier fleet, meanwhile, is unlikely to grow to much more than 20 warships, and matching the rapid growth in China’s capabilities in the Asia-Pacific will mean sacrificing commitments elsewhere. The year 2025 could well thus mark a considerable turning point in the Pacific balance of power, providing the U.S. Navy with the first real challenge to the dominance of its carrier strike groups in Asia since the sinking of the Imperial Japanese supercarrier Shinano in 1944.